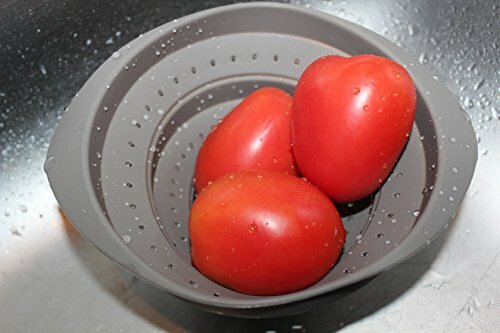 CoastLine Silicone Mini Collapsible Fruit & Vegetable Strainer | Colander Collapses to 3/4" to Save Space | Kitchen Sink Strainer 3 Cup Capacity | CoastLine - No Risk! Product prices and availability are accurate as of 2019-04-21 19:29:40 EDT and are subject to change. Any price and availability information displayed on http://www.amazon.com/ at the time of purchase will apply to the purchase of this product. Fall in love with healthy, easy cooking with the most innovative products thanks to CoastLine. Quality, functionality and design that will surprise you with a wide range of tools to make cooking, preparation, preservation, baking and freezing easier. With this collection, CoastLine provides practical and revolutionary solutions for today's society's way of cooking. Discover the pleasures of cooking at home by blending different flavors, textures and trying exciting recipes. Healthy cooking solutions for the day-to-day kitchen that breaks with the myth that healthy cooking is boring or bland. The CoastLine Mini Collapsible Colander strains up to two full servings of food, so it is ideal for single people or couples. It collapses to only one inch and can be stored in a cabinet or a drawer. Its flexibility makes it easy to empty right onto the plate. 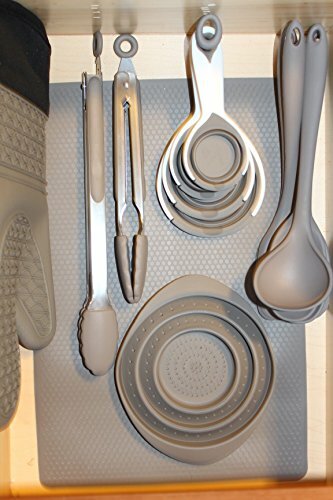 Constructed with 100% Platinum Silicone and is dishwasher, microwave, and freezer safe. BPA free. 3-CUP CAPACITY: Rinse or strain up to 3 cups of food at one time. COLLAPSIBLE: This high-quality Silicone strainer is collapsible. It closes up almost completely flat to take up minimal space in storage. MULTIPLE USES: Use this 3-cup Silicone colander for a variety of tasks. From rinsing berries to straining foods, this handy kitchen colander can handle it all. 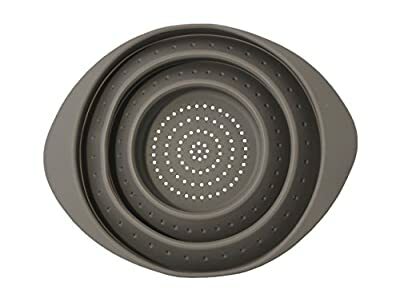 DISHWASHER SAFE: When you're finished with this colander, simply place it in the dishwasher for easy cleaning. CONVENIENT: Space saving design ideal for trips with minimal storage, like camping.